Joyce received the President's Award at the 2010 Middletown Arts Center Area Art Show. Her paintings are currently on display in our newly renovated lobby. Stop by today to see her breathtaking works of art! Joyce Phillips Young grew up in the village of Yellow Springs, Ohio - a small, rural, progressive, college town with a rich cultural heritage. Her father was a Baptist Minister, carpenter and artisan. Her mother was an elementary school teacher and also worked at the Antioch College Library in Yellow Springs. Her early childhood experiences, training in music and exposure to various working artists and Shakespearean Theater helped to spark and nurture her interest in the arts. The artist attended Miami University in Oxford, Ohio where she received a Bachelor of Fine Arts Degree in Design and a Masters of Education Degree in Art Education. She has also studied at the Cincinnati Art Academy and the University of Cincinnati. 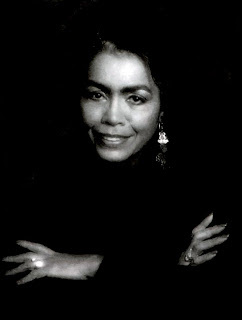 Ms. Young worked as an art teacher, elementary administrator and also served as the K-l2 Supervisor of Art for the Cincinnati Public Schools for several years. She has also taught African-American Art History at the University of Cincinnati. She has received much public recognition and numerous awards and commissions for her work as a painter, muralist, arts educator and arts advocate. She was also featured in an Ebony Magazine article in 1982 for her work in creating urban murals. The artist has exhibited in numerous group, individual and invitational exhibitions locally, nationally and in the Caribbean. Her work is in many private and corporate collections. is located in the loft area of her home. "My involvement with drawing and painting embodies my intention to celebrate life by creating and communicating positive images which convey the human qualities of love, creative mind, feeling, order and truth. Each and every moment of life is a wondrous gift and is for each person a unique journey toward an unfolding of one's own understanding, consciousness and creativity. During this process I have come to know that life through its myriad of experiences and challenges teaches us many lessons to guide us along the way. My work reflects my own journey. The human figure is the major paradigm in my art and I am continuously inspired and challenged by its spirit and form. Painting and the creative process are for me a metaphor for life - filled with so many opportunities for discovery and learning. I find much enjoyment in working with warm, happy colors, lost and found edges, contrast and similarities, realism and abstraction, and playing with moving and interconnecting lines and shapes. These lines and shapes interconnect and overlap with each other to make a visual statement about the impermanent, ever changing, layered, illusionary and spiritual quality of our existence. I delight in providing the viewer with new and different ways of seeing and interpreting the visual environment. It is my desire that people who interact with and respond to my art are inspired visually, mentally and spiritually."